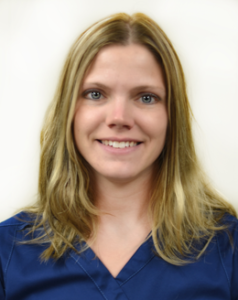 I have 15 years of experience in small animal medicine, with 19 months as a surgical technician at Medtronic, where I learned advanced and complex anesthesia. I graduated from Argosy University in 2003. I have loved being around animals ever since I can remember, so being a Vet Tech was the only career that I could imagine myself doing. I enjoy educating clients on pet nutrition; but my favorite part of my job, is when I see a sick pet get well, and the joy it brings to their owners! In my spare time I also enjoy helping people by working as a personal trainer, and am passionate about nutrition for the humans too! I enjoy time outdoors, love to travel and stay active. I live with my husband and 2 children in our Shafer home. Lakes Veterinary & Surgical Center provides general veterinary care as well as advanced complex surgeries. We are conveniently located in Lindstrom, MN, only 45 minutes north of Minneapolis/St. Paul. If you have been referred to a specialist, call us. We offer advanced technology, expert veterinary surgical procedures and compassionate, personalized care at a competitive cost. © 2017 Lakes Veterinary & Surgical Center. All Rights Reserved.